Kelley Blue Book has begun providing dealers and consumers with used-vehicle values on a state-by-state basis. The guidebook company also added "very good" as a used-vehicle condition category, between "excellent" and "good," to help dealers and consumers agree on trade-in values. On Oct. 28, Kelley Blue Book began reporting values specific to all 50 states and the District of Columbia. Previously, it reported values by five regions, says Juan Flores, Kelley Blue Book's director of vehicle valuation. "The automotive industry is moving toward more transparency and more accuracy and we're following suit," Flores says. 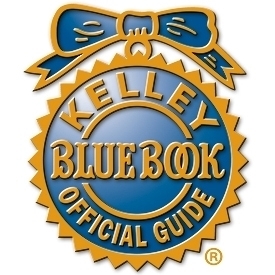 Kelley Blue Book has added "very good" as a vehicle condition category, because the guidebook company learned from its retail site that many consumers believe their vehicle's condition exceeds "good," even if it isn't "excellent." Flores says about three percent of all used vehicles in the market are in excellent condition, while about 23 percent of used vehicles are in "very good" condition. "Very good" vehicles, in general, are valued about 1 to 2 percent lower than "excellent" vehicles. "The introduction of 'very good' gives a more reasonable place for the dealer and the consumer to [meet] on the condition of the vehicle during the trade-in process," Flores says. "It eliminates some of the tension between the consumer and the dealer."